The new website features the usual posts sharing my thoughts on gaming in language learning as well as guides to games, reviews of game-based learning material and interviews with fellow GBL and edtech enthusiasts. I moved the site due to persistent issues with accessing the Weebly site editor. This was to do with my home network and not the Weebly platform itself but it was one of those issues that would reappear constantly. With no permanent fix, I decided to move on. Following on from my review of one of the best language learning games out there, Question Quest, and part one of my virtual sit-down with game creator Sean Anderson, here is part two of the interview. This time we find out about the origins of the card game, the thinking behind it, and a little teaser about future quests. DD: Can you describe Question Quest for us? 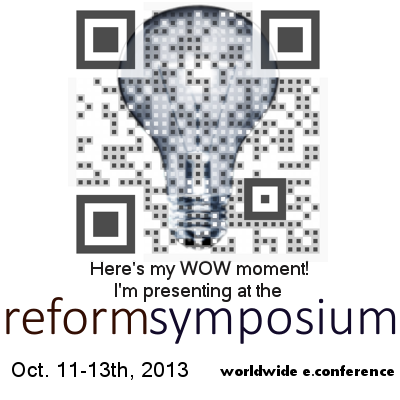 What kinds of learner is it aimed at and how is it intended to be used in class? Can understand simply constructed sentences and simple instructions. Can produce speech and ask questions using simply constructed sentences. Need practice producing accurate and detailed sentences about about family, friends, school, hobbies, travel, shopping, sports, movies, music, food, weather, giving directions, introducing oneself, plans for a holiday, one's recent activities, foreign cultures, etc. To play, Students are each dealt five cards and take turns asking the player on their left a question from a question card in their hand. If a student answers a question correctly, he keeps the question card and one random card from the top of the deck. If a student answers a question incorrectly, the student who asked the question keeps the question card and one random card from the top of the deck. Each card has a point value, and the total value of these two cards are the student's points for the turn. "Correct" answers are determined by the teacher or by the students themselves based on the students' language needs. During a turn, while a student is asking the student on his left a question, the other students in the game may interrupt the asking and answering students using the game's special cards, each one named after a linguistic deficiency coping phrase like "I don't know!" “What’s your answer?” or "I'll answer that!" There is also an “I have a Question!” special card that allows a student to ask any question to any other student in the game, and a “Tell me More!” card that demands a longer answer from a student after they answer correctly. 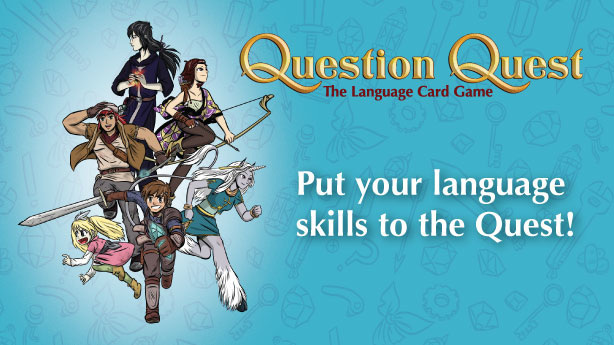 What sets Question Quest apart from other language learning card games are its rules. They are not based on an existing mainstream game where English speaking is peripheral to gameplay. In order to complete a turn and win a match of Question Quest, you must speak English. Question Quest is conversation with all its wonderful questions, answers, and best of all, interruptions! Teachers who take the time to teach their students how to play Question Quest are teaching their students how to function in an actual conversation and giving them the confidence and means to control and direct a conversation themselves. DD: Where did the inspiration for Question Quest come from? SA: At the last eikaiwa (private English conversation schools in Japan) I worked at, I taught mostly children. I had an elementary school student who would not participate in the conversation circle activity I did regularly in class. While the other students were excited and speaking, he would just sit there. After limited or no success with other approaches, I finally got the student speaking with some homemade cards he could read from. Each card contained a single question, some example answers for the question, and an image taken from the Internet to illustrate the question’s purpose. I also had another student, junior high school this time. I would ask him questions, and he would just look at me, smile nonchalantly, and say, “I don’t know.” This drove me crazy! At the time, I was still producing new homemade question cards for the elementary school student. Thinking of the junior high school student while I worked on the cards and feeling frustrated. I grumbled to myself that I should make a card with his picture on it and put the words “I don’t know!” at the top. Then it hit me, "Wait! What if I did make an I don’t know card?" That was when the basic idea for Question Quest formed. DD: How did you go about creating the game? How long did it take to develop? SA: Once I had the basic idea for the rules, I used an online card template and images from the internet to produce cards for play testing. I play-tested the game for half a year before taking the game to my great friend, fellow Street Fighter player, and CEO of Kenzai, Patrick Reynolds and showed him my idea. He loved it and together we refined the game, bringing on American game designer Darrell Hardy to consult on the rules and Australian artist Alice Carroll to give Question Quest a rich look unlike any educational card game out there. 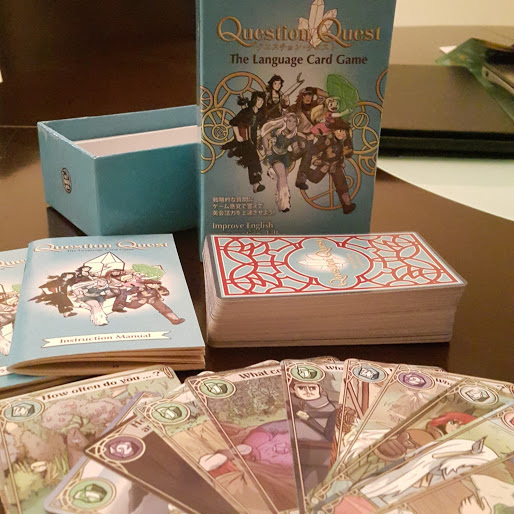 From start to finish, Question Quest took four years to produce. DD: There is a lot of background to the Question Quest with the game world, characters and lore – how important are these aspects of the card game? SA: The characters and lore do not directly influence Question Quest’s gameplay. Instead, they--especially the art on each card--serve to help students to develop their intuition when it comes to understanding the game’s language content. Our feedback from customers is that the cards appeal to their students, that their students want to spend time with Question Quest cards. Students ask to take them home to stare lovingly at the art and read all the language that comes with them. Not many English language education games have this kind of appeal going for them. But if the characters and lore do not directly affect gameplay, why go to all the trouble of producing such a rich world? Because Question Quest is only the beginning. We are developing other products as well, product that will make full use of Question Quest’s characters and lore. And this development has been made easier because of all the world-building we’ve already done. DD: Have you met any resistance to using the game in class (from students or stakeholders)? SA: Some schools have fixed curriculums which do not allow them to introduce additional materials into their classrooms. Question Quest has had difficulty getting into the classrooms of these schools. Also, Question Quest takes time--about fifteen minutes to learn and twenty minutes to play. Schools are not always able to give that kind of time to games in their classroom. But teachers who have put the time in have found QQ to be worth the investment. Over time as students get more familiar with the game, the deeper mechanics present themselves and the students’ confidence and conversation skills improve. DD: The idea, look, and feel of the game seems well-suited to the Japanese RPG style – does the game also have international appeal? SA: Question Quest has been ordered by teachers in China, Nepal, French Guiana, India, Turkey, and other countries all looking for a way to get their students engaged in conversation with each other. DD: What do you say to people who dismiss GBL as ‘superficial fun’? SA: I’m pleased to say I don’t run into these people very often, at least at the teacher level. The guard is changing and a more enlightened generation of teachers is replacing them. The real problem now is educational goals. Schools spend so much time teaching to standardised tests and other fixed elements, that it is hard to introduce games into a classroom when priority is put on things like getting through a textbook or all the items on a test-based curriculum by the end of the year. If people do need reassurance, I tell them Question Quest was designed with speaking test components like those found on the EIKEN and TOEFL firmly in mind. DD: What’s your take on ‘educational video games’? What about the use of commercial video games in the classroom? SA: The instinct to play is the most basic, innate, and natural way for people to learn. And a big part of that instinct is it is something that we think we choose to do, that we desire and want to do for ourselves and so we’ll put more effort into it. Games help facilitate learning through play and lure students into situations where they use the thing they are going to school to learn. However, currently education systems and games do not mesh well enough to achieve education’s current goals and education’s current goals are somewhat archaic. For example, Japan has a lot of standardised tests that need to be passed to get into high schools and universities. As far as I know, there are no games out there that serve that goal. And of course, the goal of passing these tests instead of developing skills actually relevant to the working world is also a big problem. The fact is education systems, classrooms, and even the role of the teacher will need complete rethinks before the relationship between games and education can reach its full potential. DD: What do you see as the future of GBL in ELT (or in general)? SA: Recently a company called Filament Games, a company that not only develops educational games but works on the much more difficult task of making games classroom ready based on current curriculum, conducted a study and finally got hard data on how a game can be refined and better integrated into the classroom. What they verified was that the teacher’s role in guiding the classroom is as crucial as ever with games acting as a force multiplier for a teacher’s instruction. This is how games need to be used in the classroom: as an instructional force multiplier. One of the elements that sets Question Quest apart from other language learning games is it uses the teacher as a component during the course of the game. The teacher doesn’t just set up the game and then observe the students or walk away from them, but instead offers guidance and correction while the students play. This falls right in line with the findings of Filament’s study. I hope Filament’s study will encourage more companies and researchers around the world to go after hard data on the relationship between classrooms and games and more school districts are open to accommodating these studies. This will go a long way to getting more games into the classroom. DD: What does the future hold for Question Quest? Any plans for Question Quest II? SA: We are currently working with a new partner on a new product that will bring more of our characters and world to the forefront. We can’t say much about it right now as confidentiality is part of our agreement, but rest assured, there will be more Question Quest to come! We are certainly looking forward to it! Thanks for taking the time to talk to us Sean and thanks for introducing me to the game. The first review features not a digital game but a regular card game, and one designed for educational purposes at that! I know I have not shown much enthusiasm for such games in the past but this one struck me as different: a game designed by language teachers, drawing on their own knowledge of the classroom and their own love of card-based RPG games. The instruction manuals explain the game rules in detail and give background information on the characters featured on the cards. My first impression when opening the box was how professionally designed and produced the whole set is. It looks and feels the same as any other card-based game I have seen and the artwork and detail on the cards is beautiful. A lot of thought and time has obviously gone into developing the characters and the game world and this really shines through in the presentation. The game is designed for 2-6 players but probably works best with 4-6. Each player is dealt five cards at the start of the game. One player then starts as the questioner and asks the player to their left (the target). Some cards contain complete questions, while others use question stems such as 'Do you like...?' or 'Have you ever...?' with suggestions for the questioner to use. If the target gives a grammatically correct and meaningful answer, they take the question card and draw another random card from the top of the pile. If their answer is incorrect or doesn't make sense, the questioner owns the question card and takes another from the pile. These cards are put aside until the end of the game. The judge decides if an answer is acceptable or not. This can be another player or a non-player such as the teacher. The special cards come into play in different ways. They can give the target the option to skip a question (the "I don't know" card), let other players usurp the questioner or target roles ("I have a question" and "I'll answer that"), force another player to answer ("What's your answer?") or demand more information from the target ("Tell Me More"). At the end of each turn, any player who has less than five cards draws new cards from the pack to fill their hand. At the end of the game (which comes either when an agreed time limit runs out or when the final card is drawn from the deck) players add up the totals of 'crystal points' (the value given on the top left corner of each card) and the player with the most points wins. I tried this out recently with a A2 group of five teenagers (15-17, 3 girls and 2 boys) as a review towards the end of their course. These students were all Arabic and I was concerned they might not take to the very Japanese-style of the artwork or the concept. However, they found the game visually interesting and appealing and were keen to try something different. We played a trail game for a few rounds just to get used to the rules. We then reshuffled the pack and started a new game. I initially took the role of the judge but I soon relinquished it as the students jumped in to challenge and correct each other. They were fully engaged and the only thing they did not like was when I called time as we had reached the end of the lesson. That day's class finished with me having to promise we would return to the game the following week. I was true to my word and we set one of our three hours aside for the game the next lesson. I stepped back completely this time, only intervening when there was no consensus on whether an answer was acceptable or not. They were quite strategic in their use of the special cards and a competitive but friendly atmosphere permeated the session. I took the opportunity to listen closely to their English in action, noting down persistent pronunciation errors when asking and answering along with any errors the judges missed. After 45 minutes the game was done and I used the last 15 minutes to go over some of these areas. Feedback was very positive - "the best lesson of the course" and "I've never asked and answered so many questions in one lesson before" were the standout remarks. What made it a good game? Peer-to-peer interaction - the game is built on players asking each other questions. This naturally leads to them challenging and correcting each other, which in turn leads to the teacher taking a back seat. Combined with the flow discussed above, this makes for a student-centred gaming experience. Failure is an option - if an answer is rejected, you are back in the game a short time later when your turn comes around again. The "I don't know card" also gives an option to pick your moment for a better question, helping add to the sense of the players being in control. Players can alter the game - the other special cards give players the chance to up the ante when they feel they can answer a question well or take advantage when they feel an opponent may be struggling, further adding to the sense of ownership. The gameworld - although we did not focus explicitly on the characters or the backstory, the professional design and presentation of the game set and the artwork of the characters and the world they lived in really helped bring the game to life. The novelty factor - this was a very different kind of in-class activity for my students and offered a break from our usual learning activities or classroom games. That helped attract their attention and keep it. The last point could, of course, easily become a negative. Despite a range of different questions and infinite answers, if I were to play the game again with the same group, the novelty would wear off and it could become repetitive. However, this is the case for almost any activity and we should always be wary of overkill. Used two or three times in a 12 week course or over an academic year, it would keep its appeal. The questions, especially on the higher value cards, may be too tough for several students, especially at an elementary level. I would say they work best with strong A2 students or above. An easier version for lower level learners would be a welcome addition to the series (and maybe even an advanced level set for high level students). Finally, there is the player limit. As it is a game for six players, in most classroom scenarios, a few decks would be needed to allow everyone to join in. I was lucky enough to have a class of five recently but in my usual groups of 16, I would have to offer it an option alongside other games or persuade my employers to invest in a few more sets! This is a really well designed and thought-out game. It gives students a simple but engaging purpose for asking and answering questions and the competitive edge gives them the motivation to focus on the language in each other's answers. My students loved it and I am looking forward to using it with more classes in the future. You won’t believe this mindbogglingly simple idea for using Pokémon Go with #ESL learners!!! Exciting! My students are really into this game – they play it all the time. It’s all the buzz and I’m keen to find ways to tap into that. So, what’s your idea for using it in the classroom? Quite simple really – don’t. Give this one a miss. Let Pokémon Go... well, go. Indeed. Just let the students have their fun catching imaginary beasts in their leisure time. No, you haven’t. My son loves the game. I’ve played a little bit myself and found it amusing (never really been into Pokémon that much, even the first time round but I’ve nothing against the game itself). Hang on – I’ve just taken a quick look back through your blog and you have lesson plans on here about describing avatars and ideas about gap-fill walkthroughs. I do, and that’s where my thinking began a few years ago. I think it’s only natural to look at familiar activities and try to adapt them to a different medium. Speculation and prediction activities are usually among the first we try out, then descriptions, and then things like writing narratives based on the game or using a level guide as a reading text. There’s nothing wrong with doing that of course but it soon becomes seen by the students for what it is – more of the same kind of tasks they do with their course books. So, these augmented reality geo-location games are not going to add much to my students’ learning then. There is actually great potential in this area. AR apps and geo-location triggers create opportunities to learn in context by taking the classroom with you rather than trying to bring the outside world in (Urban Chronicles, a project by Paul Driver, is a prime example of how getting students to interact with input ‘on location’ can be an enriching learning experience...) This involves carefully constructed and targeted multi-modal access to information and ideas, however, not so much capturing animated objects and then describing them to a partner. Hmm, should I just ignore it when my students start talking about the game then? If your students want to talk about it, by all means let them. Just approach it in the same way you would anything else happening in the world that they want to talk about – ask them about it, let them speak and then build on it dogme-style if you wish or move on. Image by Phil Wade. Used with permission. But really, there’s no point sending them out around the school to find Pikachu because a) they probably won’t find much in such small confines and b) after all that excitement, are you really going to make them sit down and describe the experience with there is/are and it has got...? As I said above, let them have this one. It’s the most popular game of the moment but that doesn’t mean it’s necessarily one for the classroom. Really? What about Minecraft then? Seriously – that is, yes, an immensely popular game but it has developed in such a way that it has opened up all sorts of possibilities for creation and creativity. It can be used to support a multitude of subjects, to teach things, to learn things, to make projects, to collaborate, to realise ideas... Even if your students are expert players, there are still things they can discover about the game and bigger idea they can think about through playing it. Pokémon Go simply isn’t that kind of game. It may develop into something like that in the future – we’ll just have to wait and see. 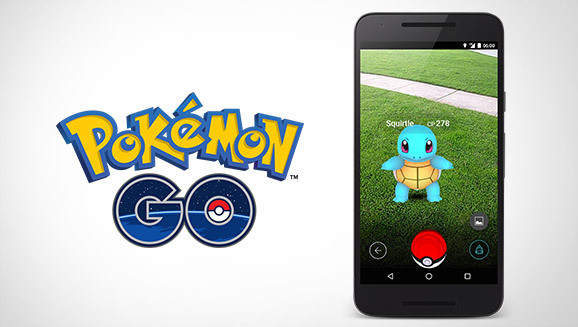 9 Fun Ways to Practice English with Pokémon GO - Shelly Terrell should always be your first stop for lesson ideas. Hijacking Pokémon GO for some learning - Chia Suan Chong champions the cause for taking advantage of what's popular with learners for some classroom action and shares some ideas (but presents the other side of the debate as well). Just a quick post to point you in the direction of an interview I gave recently to Phil Wade for EFL Magazine. 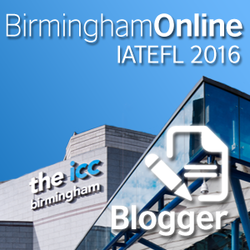 I have previously contributed an article on using Minecraft with language learners to EFL Magazine and it was a pleasure to be invited back to respond to Phil's questions. In the course of the interview, we discuss digital games, board games and classic classroom games. Please click on the link below and add your thoughts in the comments! As always, it was a pleasure to be involved in the Virtual Round Table, one of the mainstays of the ELT conference calendar. It was well attended and the reactions were positive. There were also a few questions asked and comments made at the event and afterwards that gave me pause to think and reflect and I will add my responses to those in this post. I always value critical comments that lead to re-evaluation of my thinking and these are no different. Speculation language is produced in most games, not generating much more than ill-formed modals, maybes and suggestions with 'lets' - perhaps we need to move beyond this? This seems to be one of the most obvious places to start with game-based learning. Indeed, if you go back to the first post on this blog, you will find a description of a time I played a game with my students and used it to generate exactly this kind of language. That is not to say that that is all we ever did with games and language but I take Marisa's point that we need to avoid simply using the game as a vehicle for focusing on the same old language points. Taking speculation as an example, I would say we need to look beyond the 'language' of speculation (which is often limited to using a few modal verbs and semi-fixed structures) and push students into the area of speculation as a critical thinking skill. That means not just forming a sentence like "I think we should go to the lake" but explaining why, justifying the choice with reference to the context of the game and our ultimate aims as players. Going a step further, we then need to evaluate our speculated thoughts against what subsequently happens. Was our line of thinking correct? Did events play out as we expected? What was wrong with our initial ideas? All backed up by the most important question of all - why? In the same way that early TV mimicked theatre, early ELT lesson plans mimic those from course books and other old media. Paul also gave a talk on DGBL at VRT, and it is definitely worth watching it you haven't done so already: The Growing Pains of Digital Games. He explained that whenever a 'new' form of media enters the world of ELT, our first approach is usually to view it through the lens of what has come before. This then leads to teachers and publishers taking something like a digital game and producing a gap-fill worksheet version of a play-through guide to go with it. Or the game is introduced by the teacher explaining some key vocabulary items and then showing a clip of the gameplay before asking learners to discuss it in the same way we might show a regular video. Again, I have used activities similar to those above in the past, at times with my mind turned towards justifying why and how I am using to games to stakeholders - if they see something familiar, there is less likely to be resistance, right? But, of course, that kind of approach can lead to us losing sight of what makes games so appealing in the first place. 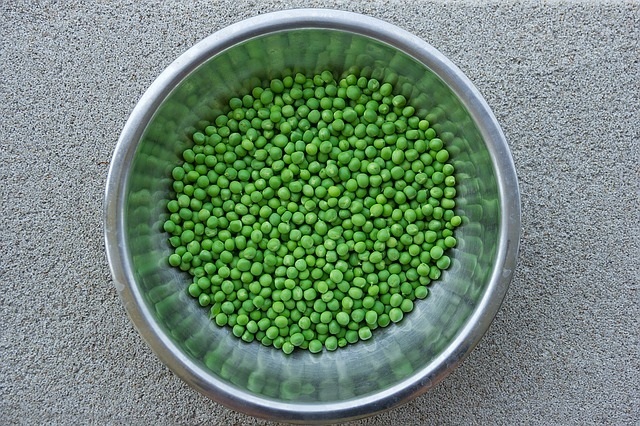 The game should provide a context for language production but it should be the driving force of the lesson, not the square peg which is to be hammered into the round hole of an ELT lesson plan. I have been thinking about this one a lot and I still don't have the answers yet... All I can say is that my understanding and ideas about digital game-based learning are developing and I will certainly be looking for alternative approaches to using them in class in future. There's something really wrong in the way we use digital games for ELT.... It's just like students play funny video games and then they get an assignment and have to write a composition about the game they have played. Won't it be frustrating for them? Personally, I have used games like Minecraft to get my students writing but I would qualify that by saying I do not shepherd them all towards the same set task. I try to offer them choices - some may write a story from the point of view of the character in the game, others may write a guide to a particular aspect of the game, others may reflect on what they have learned about the game and what they still want to find out. It is also important to make sure these tasks break the mould of traditional classroom writing. Rather than submitting something to the teacher and getting it marked, we should do things like encourage the class to collaborate to build a guide to the game. Using a class wiki, different groups can work on different aspects of the game, they can visit, edit and comment on each other's pages. Collectively they can build something bigger than just another composition that is likely to leave them feeling a sense of accomplishment rather than frustration at being hoodwinked by their teacher once again. So, good food for thought from these comments and plenty to ponder over the summer break. I will be doing some reading, exploring some other examples of game-based learning, engaging in discussion with other DGBL enthusiasts, and, of course, playing some games to continue the development of my ideas! This digital game-based learning ELT lesson plan makes use of the popular sandbox game Minecraft. It requires no little previous knowledge of the game (in fact, the less you know, the more authentic the experience will be) and can be done without access to the game itself. It involves reversing traditional classroom roles as the students take the lead in teaching their teacher. Ask your students whether or not they play Minecraft. Get them talking about why they do/don’t play and find out some basic information like the aim of the game and the different modes of play (survival and creative). Divide the class into two groups of those who play Minecraft on a regular basis and those who don’t (depending on the size of your class, you may wish to further divide these groups to manage numbers more easily). Tell the group of experienced players you want to learn more about the game and you would like their help. Task them with compiling instructions/advice for ‘How to Survive your First Day in Minecraft’ (the language can be adapted here to the level of the students – simple imperatives for lower levels or more detailed advice and suggestions for higher levels). Meanwhile, work with the students who rarely play or don’t play at all and brainstorm questions to ask about how to play the game and how to survive. Work mainly with this group but spare time to drop in on the other group to monitor and check progress. 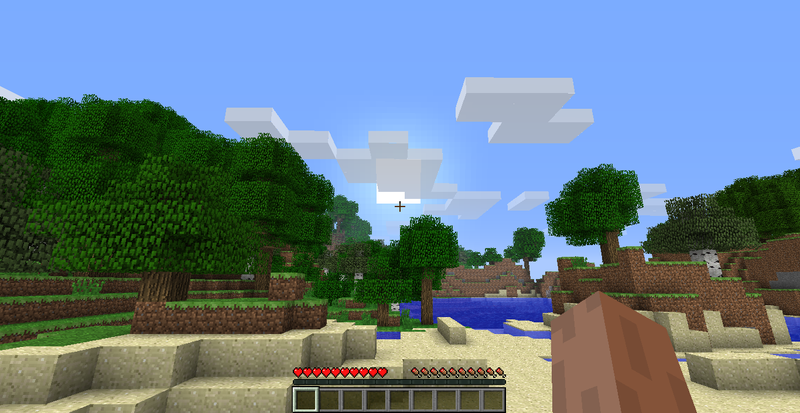 Invite the Minecraft players to present their advice and instructions. The other group should listen and make notes. At the end of the presentation, direct the audience group to ask any of their questions which remain unanswered, again taking notes for the answers. Based on the previous lesson stage, focus on the language used for instructions and advice and go over any common mistakes. Each group will now use the information from the presentation to write up a series of instructions for Minecraft novice players. The experienced group can present their steps while the novice group can turn their questions and notes into a FAQ-style text. Optional extension A: After checking the texts, give the students some time to create posters adding in visuals from the game or have them post their texts on the class blog. Optional extension B: Instead of just giving regular feedback on their writing, go ahead and play the game outside of class following their instructions. In the next class, give them feedback on how it went. My students have always enjoyed this lesson for two reasons: they get to talk about Minecraft; and they get to teach the teacher! This involves not only the power of utilising something the learners are interested in to increase engagement and motivation, but also the power of giving the students control of the learning process and creating a genuine need for communication. If you have the opportunity to use Minecraft in class, this is also a great way to find out how well your students know the game. It also provides a strong foundation for the first in-game lesson as the novice players can try out the advice given to them and/or they can be paired with more experienced players for a collaborative learning experience. If you like this plan, please share it with your colleagues and through your social media networks. Welcome to a the beginning of what will hopefully be an interesting series of posts on ELT Sandbox in which practitioners and enthusiasts of Game-Based Learning from the world of ELT and beyond give us some insight into their work. James York (Kotoba Miners): Although my father was a game developer when I was young (only a hobbiest really, but still…), and I’ve been surrounded with video game consoles and computers since a young age, I think the first game I remember playing is the Dizzy series. JY: We had a number of Atari computers when we were kids, and then an Amiga which we played on all the time. The first console we owned was a Sega Megadrive with Sonic the Hedgehog. JY: Hmmm…. Computer games were never used at school. The games I remember playing at school would have to be playground games like British Bulldog or “kiss chase” Haha. JY: I played some Rocket League the other day. A friend recommended it to me. I had seen clips of it online and if you don’t know, it is essentially 3-a-side football played with remote controlled cars and a huge ball. I was skeptical about how fun it could be, but boy was I wrong…! It’s a fantastic multiplayer experience. Scoring a goal hits you with a sweet wave of fiero, and seeing pro players flying their cars through the air to nudge the ball into the back of the net is pretty fascinating to watch. DD: Final Fantasy VII! For me, that was the first time I became engrossed by the story of a game. I remember at uni having 4 or 5 people crowd into my room in our hall of residence to watch me take on the final boss and conclude the story. JY: Another game that I am partial too is of course Minecraft. We’ll talk about this later, but finding a virtual world and building a language learning community was incredibly meaningful and fulfilling. JY: I think the Amiga 1200 was the machine that I spent the most time playing with. 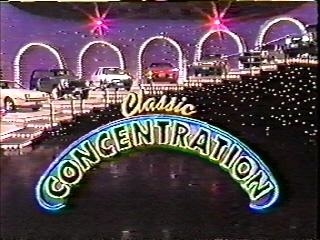 It had a plethora of good platformers, adventure, and shooting games. JY: Sorry dad, but probably one of his early games. JY: Scribblenauts or an iOS escape the room game called Roooms (this is not a misspelling). DD: You are well-known for ‘Kotoba Miners’ – can you tell us about what it is and how you got started? Provide a safe, motivating, and immersive environment for my Japanese students to learn English. However, this goal flipped over the first six months of the project to being a place to teach Japanese to English-speakers now. This does not mean that the original goal has completely disappeared—I still teach English to Japanese students on the server—but I now focus more of my efforts on teaching Japanese. The server was initially set up with a few basic lesson ideas and activities to help my students learn English. It had no additional plug-ins and no security until a player from Finland offered to help me out. I gave him admin access soon after, and he is still with the project to this day. Next was to find English speakers to participate. I asked on the popular news website “Reddit” whether people would be willing to come onto our server once a week to help my Japanese students learn English. As part of this, I also mentioned that as my students’ level of English was fairly low, the experience would also be a good opportunity for them to practice Japanese. The results were very positive. Once a week, my students logged in and completed activities with English-speakers that came from Reddit. Once the course finished, my students stopped playing on the server, but the native English speakers continued. I was suddenly faced with a server of English speakers who were interested in learning Japanese. It was this experience that started my interest in teaching Japanese and led to the creation of Kotoba Miners. DD: So the students stopped playing but the volunteers carried on! It’s great how the Japanese project emerged from the original one. JY: Yep, this is exactly what happened :) The evolution of the Kotoba Miners project was quite bizarre, but still, very rewarding. DD: What is a typical Japanese lesson in Minecraft like? JY: I experimented with a few teaching styles. I started classes with the traditional PPP style - I present some new language, students practice it, then we would do a related activity that made them use it for more communicative purposes. But this felt like a waste of their time. Students could learn all the grammar and words needed for a class by themselves before class just by searching the internet for the relevant grammar. So, eventually we ended up with a kind of flipped classroom where I would tell students what grammar was coming up and they would read about it by themselves before coming to class. We used TeamSpeak to communicate, as people were located all around the world. This was the most important tool of the class. The focus in class was on developing speaking skills, as this is one of the least focused skills for a language learner. DD: How are the traditional roles of ‘teacher,’ ‘student,’ and ‘class’ changed by being in a virtual world environment? How are they the same? JY: Pretty much the same actually. The people that I taught were generally adults who had been through some degree of formal education before, so they were expectant that the set up would be the same as their experiences. I would speak as the teacher, they would react and do activities. DD: Science, maths, geography, ICT and now language learning - why do you think Minecraft in particular has been so successful in so many diverse educational contexts? I’m actually surprised that it is used so much in the science and math domains. It seems very obvious to me that it is a great tool for language learning as people have to communicate to achieve things within the game, but for maths… I’m skeptical whether Minecraft offers anything over more traditional face-to-face teaching situations. DD: Good point - I’ve never actually read those reports in detail. Perhaps I should to see if there is anything transformative actually happening with other subjects or not. I definitely agree with you about the collaboration creating a need to communicate, which in turn is a powerful driving force for language. JY: As for language learning, I also think that there is a time and a place for the use of virtual environments to be used as a teaching tool. For instance, I had a classroom of students from all over the world (i.e. it was not physically possible to get them all in the same location at the same time), I think a virtual environment is a perfect tool to teach this kind of class. Another good example of virtual worlds being employed properly would be if you were to get students to converse or cooperate in some way with target language speakers (again, making sure there is a need for the use of a virtual world). What I do not think is a good idea is to use virtual worlds in a monolingual classroom where you have 20+ students log into the virtual world to do an activity. In this case, I would argue that there is probably more benefit from doing face-to-face “real world” activities. But this is only my opinion. I am currently undertaking research to look at the spoken performance of students as they perform activities in both computer-mediated and face-to-face environments. DD: You are currently studying for an EdD. Can you share some of the research into virtual worlds that you have been doing with us? JY: As mentioned above, my EdD is based on my observations of monolingual students doing tasks in virtual worlds over the last few years. Simple put, the research sees pairs of students undertake 3 task pairs, where there is a virtual world and offline version for each task pair. In total, they will do 3 online tasks, and 3 offline tasks. I will analyse their spoken discourse to see if there is a difference in output per mode of communication (online or offline). The hypothesis being that students speak more fluently when doing offline activities (but I am yet to prove this!). DD: What do you say to people who dismiss DGBL as ‘superficial fun’? JY: I actually learnt a great deal of Japanese when I played WoW back in 2005-6. I specifically joined a Japanese guild in order to “study-while-playing” and this was my first experience of the power of games as a teaching tool. DD: I know many people who have cited WoW as the reason they started to improve their English again after years away from formal education. I also played in a Turkish guild for a while and it made for some intense reading & writing practice! JY: There is an ongoing discussion regarding how games may be used in language learning contexts, including updated versions of traditional teaching methodologies for the digital generation. TBLT for example being reworked for digital/online contexts. Another very robust framework for the use of games can be seen in the works of Reinhardt and Sykes with their Explore, Examine and Extend sequence. In summary then, games need to be considered carefully before being adopted in language learning or educational contexts. A rigorous framework for their use must also be considered in order to get the most out of their affordances for learning. No more blind advocation and utilisation, please! DD: Amen to that! What’s your take on ‘educational games’? What would a good language learning game look like? JY: Commercial Off The Shelf games (COTS) are the best way to go in my opinion. They are not designed specifically with “education” in mind, but they succeed in keeping students interested and entertained, they often have large budgets which means they are polished, well-narrated, and have a large following on the internet. With such a large culture around such COTS games, you are provided with a rich tapestry of material which can be shaped into any number of language learning activities based on your particular needs. DD: What do you see as the future of DGBL in ELT (or in general)? JY: I see it becoming much more mainstream as people become more aware of how games can be used in their teaching environments. Essentially, we need to use teaching materials that are relevant to the students. Right now, that means that we are researching and experimenting with ways to use games in the classroom because that is what a large portion of young people do in their free time. The key take away for me then, is that games as a teaching tool must be carefully considered based on the interests of the students and your aims as a teacher. DD: A key take away for any use of technology - or indeed any other resource we use in class! Thank you James for sharing your insights and good luck with the rest of your EDd. James is an assistant professor at Tokyo and University where he conducts research on the use of games in language learning contexts. He is also a PhD candidate at the University of Leicester (UK). His PhD research is an investigation into the potential of virtual world tasks as a way to improve beginner learners’ oral proficiency. The aim of the study is to look for both quantitative and qualitative differences in output when learners complete similar online and offline tasks. The results, then, should help educators be aware of when employing virtual worlds as a domain for language learning. Additionally, James has started research on the application of analog games in the language classroom as part of a wider game-based curriculum. James is also the founder of Kotoba Miners, an online Japanese learning community which uses Minecraft as a domain for teaching. ELT Sandbox - where have you been? The usual excuses - work, study, play - are also complemented by the extraordinary - new job, new responsibilities, new country, new life! After a hectic few months, I have left my position in Gabon and taken up a new one as the ICT Coordinator at he British Council in Bahrain. Each focus is, of course, subject to change but I hope you will join me for the journey!